The only person I know who scored a permit was for the last weekend of permit season October 31! Even if you don’t have an overnight permit, there’s still so much nature to enjoy – you just have to do it as a long day hike! Typically, most day hikes into the Enchantments Core are long (20+ miles) and involve a substantial amount of elevation gain (6,000+ feet). 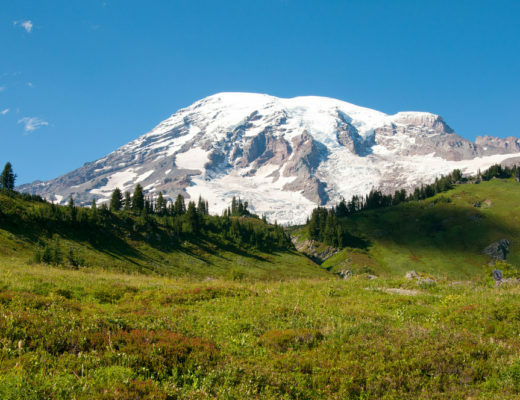 But they’re oh so worth it… However, there are other day hikes that are shorter, but may not reach the main “Core Enchantments” area. Stunning views from Lake Viviane in the Core Enchantments in early September. The Enchantments and Alpine Lakes Wilderness is one of the more beautiful places I’ve ever hiked. 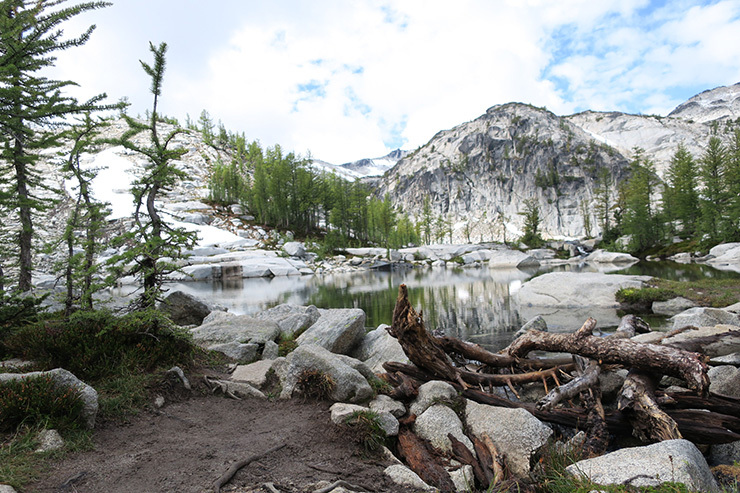 The best times to hike in the Enchantments are lake summer and early fall. 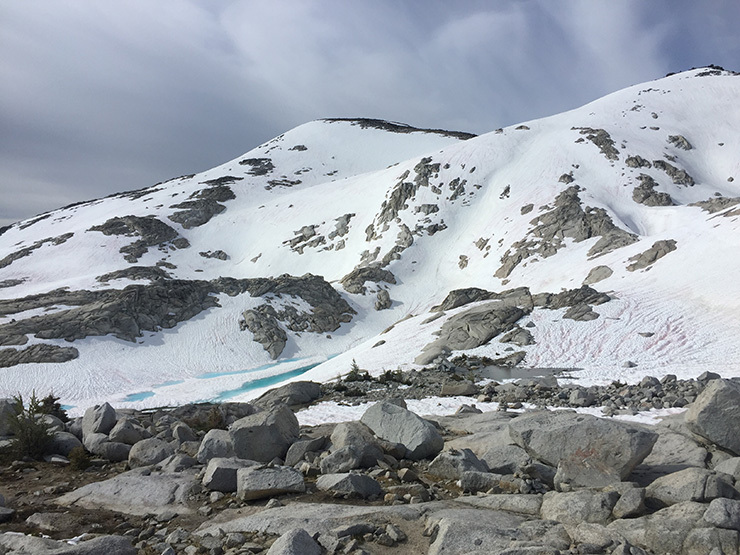 In late spring and early summer, the Enchantments core basin is still snow covered. This makes travel more difficult and the views an endless sea of white (which is beautiful, just more difficult to hike). Once the snow is melted in late summer or early fall, the alpine lakes are uncovered, showcasing the beautiful rocky and mountainous views – the grey granite rock extends for miles and the pine trees turn a beautiful red-yellow hue. 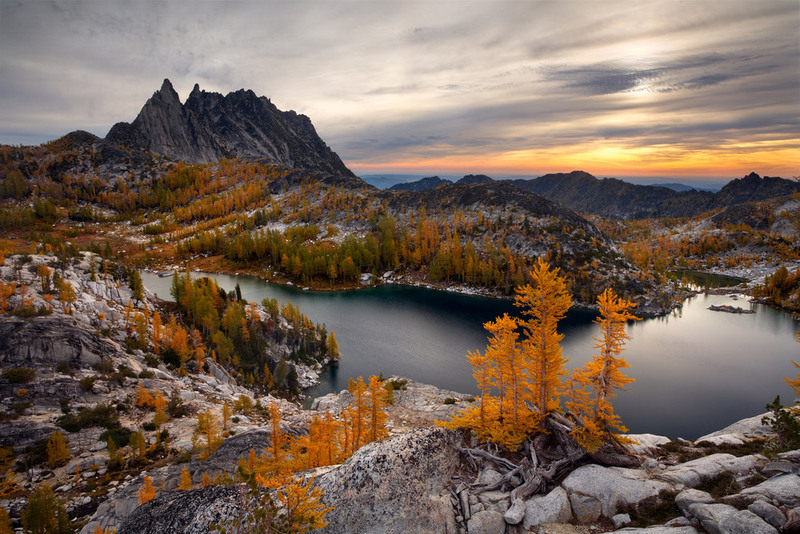 This is my favorite time to hike in the Enchantments. 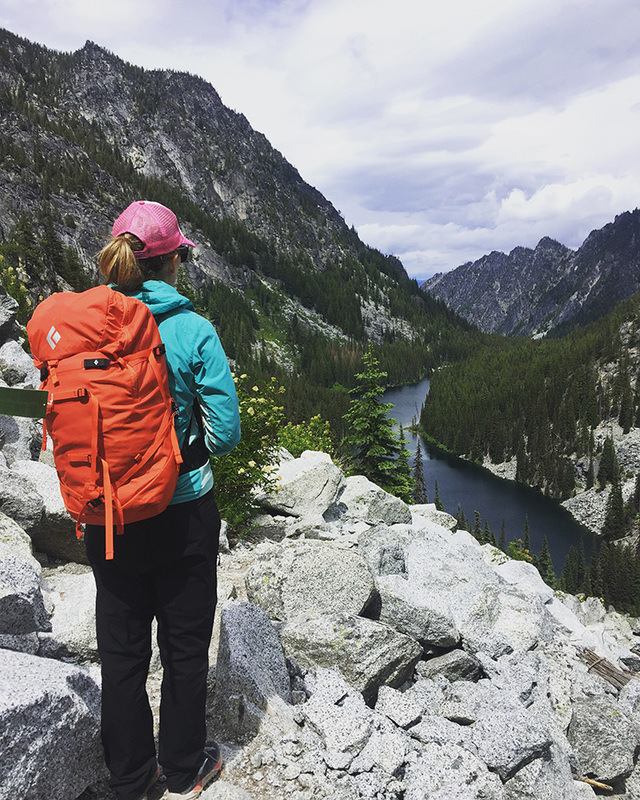 Below you’ll find a collection of the best day hikes in the Enchantments, trailhead access points and permit information. The Enchantments Thru-hike is a grueling, but rewarding 18 mile hike through the core Alpine Lakes Basin. 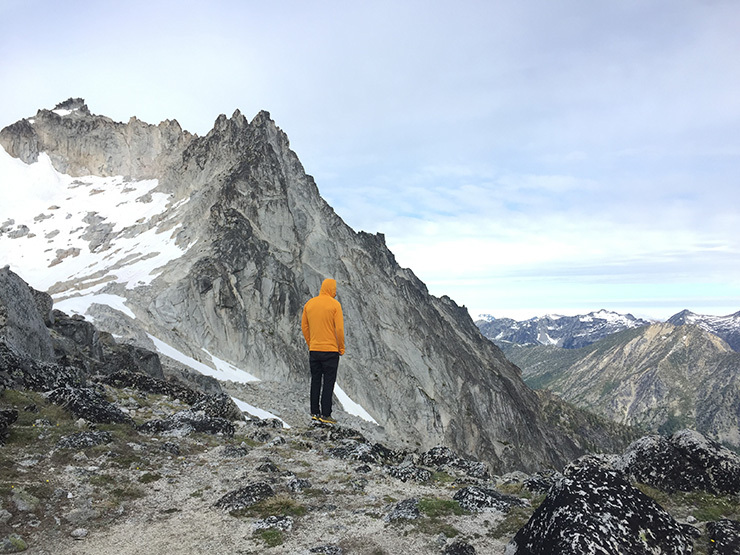 This hike will pass by all the major Enchantments scenery, including the major mountain peaks (Dragontail Peak, Colchuck Peak, Little Annapurna and Prusik Peak) and alpine lakes (Colchuck Lake, Perfection Lake, Lake Viviane and Snow Lakes). 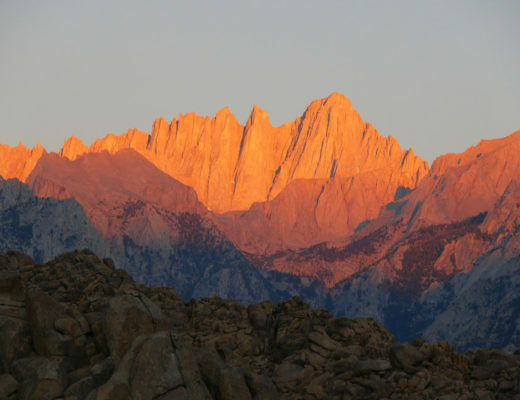 The major elevation gain will be ascending to Colchuck Lake and then over Asgard Pass. Typically, most people do this as a shuttle, leaving one car at the Snow Lakes Trailhead and driving to the Stuart Lakes Trailhead to start the hike. 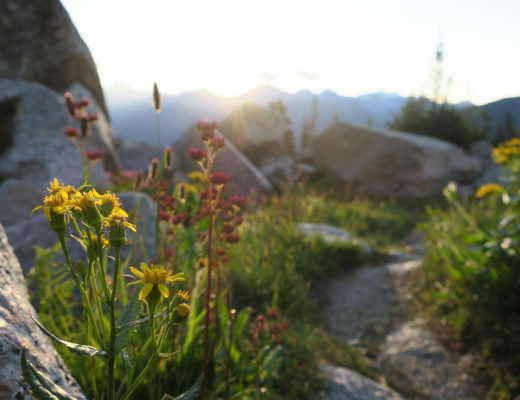 Here’s a great trip write-up from Outdoorproject.org on the Enchantments Thru-hike. Views of Perfection Lake and iconic Prusik Peak in the background. Colchuck Lake is one of the more scenic day-hikes in the Enchantments. Starting at the Stuart Lakes Trailhead, hike up a strenuous trail, ending at the pristine Colchuck Lake. There are numerous campsites around the lake for those with overnight permits. Colchuck Lake is nestled among some of the major Enchantment peaks, including Colchuck Balanced Rock, Dragontail Peak and Colchuck Peak. If you’re on the Enchantments Thru-hike, continue around the lake and head up Asgard Pass (very strenuous!) on the far side of the lake to reach the Core Enchantments. Views of Colchuck Lake from the backside of Dragontail Peak, after climbing Serpentine Route on Dragontail. Snow Lakes Trail is an incredibly popular hike that’s also one of the main access points into the Core Enchantments. Snow Lakes Trail meanders through forested groves and ends at the main Snow Lake reservoir, passing Nada Lake and Snow Creek Wall. This is also a popular trailhead for climbing on Snow Creek Wall. 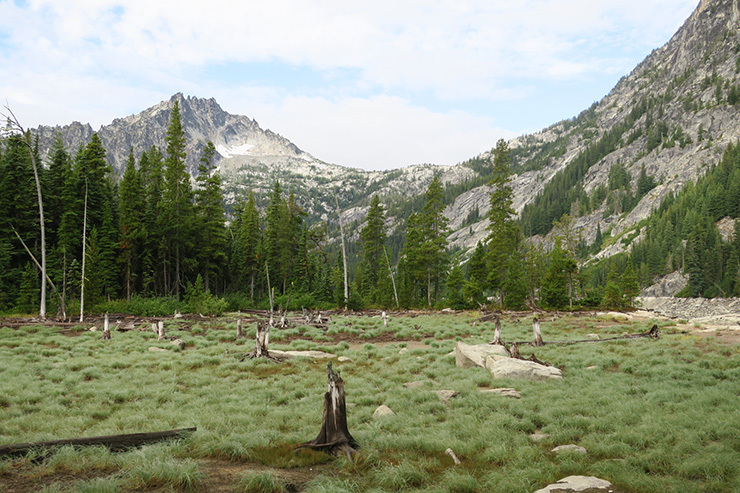 Marshlands surrounding Snow Lakes in the Enchantments. Ingalls Lake is an extremely scenic hike with breathtaking views of Mt. Stuart. Mt. 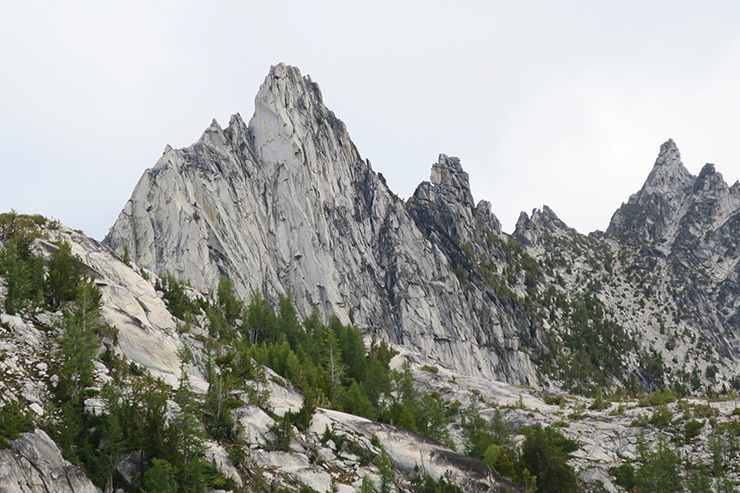 Stuart is considered the “crown jewel” of the Enchantments and deservingly so, at 9,400 feet high, it’s one of the largest exposed granite peaks in the lower 48 states. The Ingalls Lake hike is a sustained grade, but not as strenuous as the Colchuck Lake Hike. 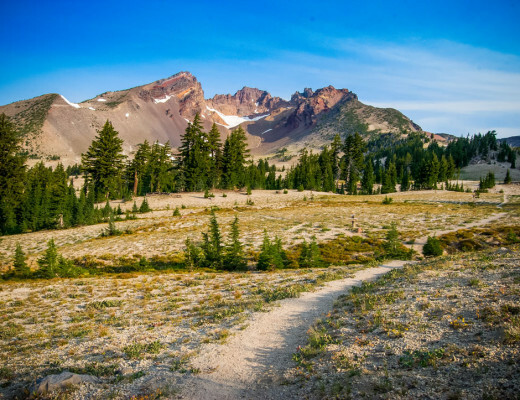 The trail navigates a few different ecosystems from the Teanaway Valley and into the Alpine Lakes Wilderness. Beware for the mountain goats, I’ve seen herds of the infamous Enchantments mountain goats in this area! Note, you do NOT need overnight permits to camp in the surrounding area of Ingalls Lake (just no camping at the lake itself). Stuart Lakes Trailhead: This is the most popular trailhead into the Core Enchantments via Asgard Pass and to reach Colchuck Lake. 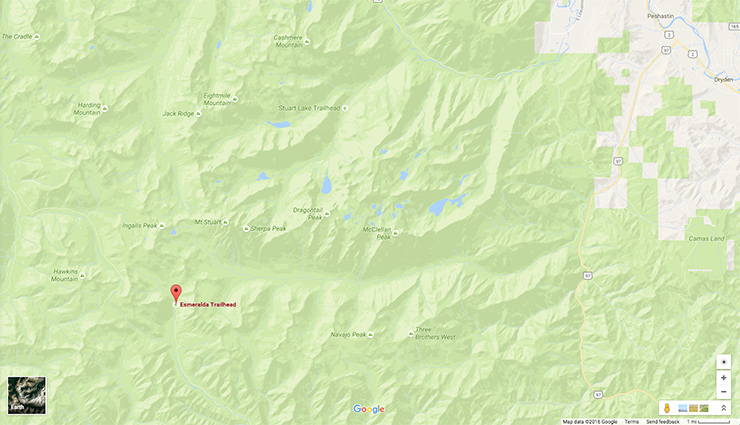 Drive out Icicle Creek Road and turn left on Eightmile Road, continuing for 3.8 miles on dirt road. Snow Lakes Trailhead: Snow Lakes is a popular trailhead for Snow Lakes Hike, Snow Creek Wall and is usually the end location for the Core Enchantments through-hike. Snow Lakes Trailhead is out Icicle Creek Road, from Hwy 2 just outside of Leavenworth, WA. 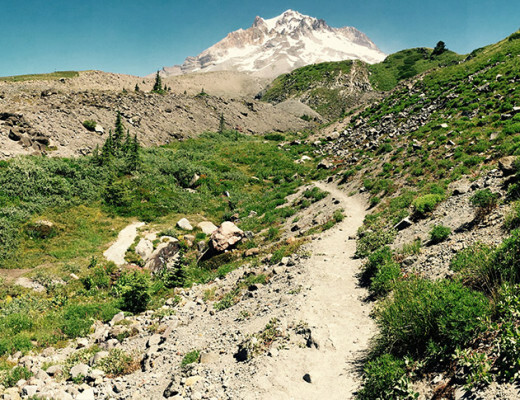 Esmeralda Lakes Trailhead: This is a popular trailhead for Ingalls Lake and Mt. Stuart, either climbing or hiking the Cascadian Couloir. Esmeralda Lakes Trailhead is accessed from Cle Elum, WA, via Teanaway Road. Permits are required for overnight travel within the Enchantments from May 15- October 31. 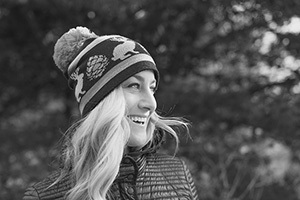 Permit applications can be accessed through Recreation.gov here. Be aware of the timelines and dates for applications, they’re super important! 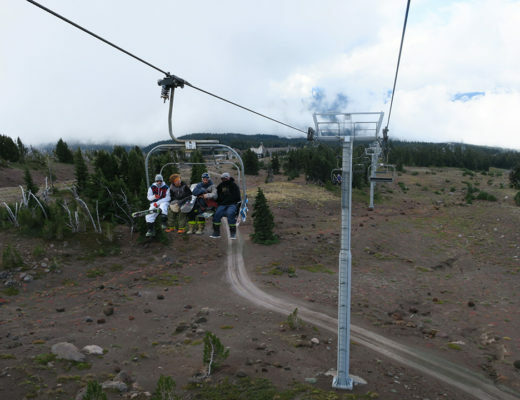 Apply during the initial lottery round for permits at Recreation.gov. Application period is open February 15-March 3. If you are selected for permits, you will be notified and need to claim these permits between March 13-March 31. If you are unsuccessful for the first round of permits, there is a secondary raffle for unclaimed permits. This opens online April 1. Be sure be to be online at at that time for a shot for these permits. There are also a small amount of daily walk-up permits at the Ranger Station in Leavenworth. Daily permit drawings take place by 7:45 a.m. The best time of year to go is August-September. 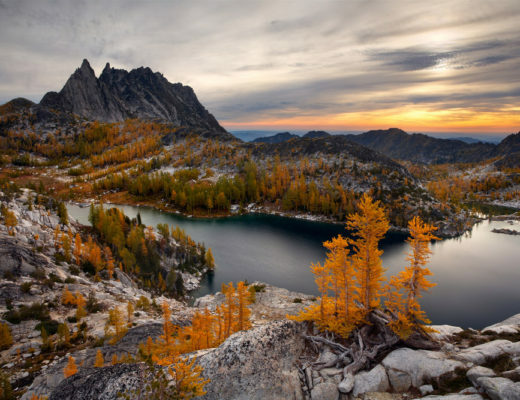 The Core Enchantments will typically be snow free by then, the mosquitos shouldn’t be bad and the leaves might be turning early fall. Icicle Creek Road (access to Stuart Lakes and Snow Lakes Trailheads) is about 2.5 hours from Seattle, out Highway 2. The best place to camp is at Eightmile Campground, which is directly off Icicle Creek Road about eight miles after the turnoff. Be sure to make reservations early for this campground, it fills up! 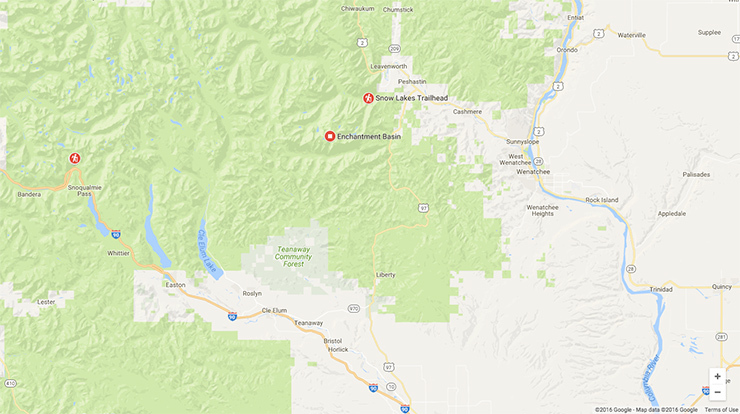 If you’re a climber or like to sleep in your car at trailheads (like us), there’s an unofficial “climbers” camp that’s an unmarked right turn off Icicle Creek Road just before Eightmile Campground. We’ve stayed here numerous times without being hassled by the Forest Service. It fills up later at night, so get there early evening to find a spot to park or set up your tent. Shhh, don’t tell anyone I said to sleep here! Holy crap, that’s some beautiful scenery. Fingers crossed that I get through the lottery next year. Awesome! I love that fall picture, what a gorgeous vista. 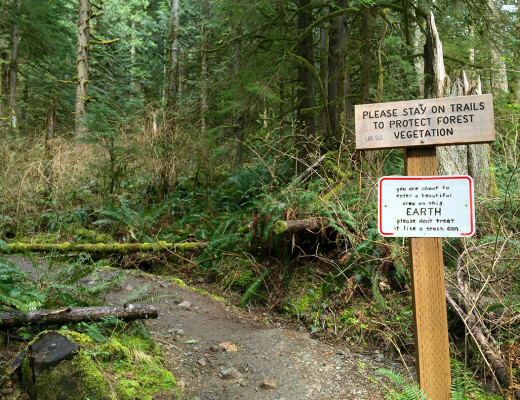 And heck yes to car sleeping at trail heads….hooray for cheap and waking up at the start. I try to drink coffee as fast as I can and then we roll out of the back doors and are on our way!